And it’s déjà vu all over again. Seekingsomepeace made my day. In woefully delayed fashion from quite a week, I say a bright eyed and bushy-tailed thank you. I’ve had this blog for less than a year. It’s nice to know that my brain spills have a wide appeal. Twice, even. I shall address all things Liebster–not the singer, mind you–and get to the ROW80 check-in after that. Good? Good. 2) Answer the ten questions asked by aforementioned lovely person. 3) Nominate ten other awesome and lovely people. 4) Send off ten questions you’d like them to ask you. 5) Let the nominees know how awesome they are by popping by their blog to inform them of their greatness. It’s a fun way to promote a blogtastic atmosphere over the interwebs and fosters global and cyber unity. Me likey. 1) What’s the story behind the name of your blog? –> A play on the word ‘exploits.’ I’m a writer by passion and hopefully profession. The blog chronicles every twist, turn, nook and cranny of my writing journey. Hence Textploits of the Writerly Persuasion. 2) If there was one mythical or fictional creature you’d get to keep as a pet, what would it be? –> So many to choose from. I’ll say Gizmo, for now, only because he’s super dorbs. Definitely dry Gizmo, of course. Dobby’s NOT a pet. He’s free to do as he pleases. Also scratched from the list: a tribble. Hmmm… Timon and/or Puumba? I suppose I can’t split the pair. They’re divas, like that. Oooh, got it! Just because Falkor the Luckdragon might cause logistical problems, Appa, (Ang’s flying bison… sorry, Pikachu), I choose you! –> Wow, did I mention it’s been a long week? 3) Tell us your quote of the day? 4) What’s your biggest dream? –> Despite my literary ambitions, my biggest dream has always been to be a mom. 5) What’s your biggest fear? –> That time might pass and I might not be able to (biologically). I’d definitely consider adoption because I have so much love to give. 6) Who is your favorite person in the world? –> It’s a tie between my nephew and niece. I’m also his godmother and I’ve been there for both of them since the day they were born (and even before). *le sigh* Please refer to numbers four and five. 7) If you get the chance to be a part of a different culture, which one it would be? 8) If you were given the chance to travel the world, but not see or contact any family or friends during the trip. Would you go? –> Again, The Sisterhood was a go on this one. I’d say she is a more independent spirit than yours truly. I suppose, if I blogged about it and just shared the experience upon my return, it could be a therapeutic adventure. I’m on the fence with this one, not just the solo flight, but being incommunicado. 9) You have a magical ability or a super power, what is it and why? –> More magical? Teleportation. Commuting is such a pain. 10) You are writing your life story, what’s the first line? –> I died before I was born. 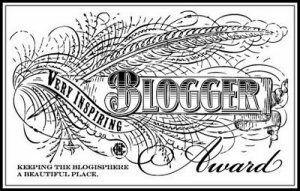 Note: not all had blog follower counts but I nominated them anyway for their sheer magnitude of awesymmetry. 1) You. Dinner. Plus five guests. Alive or dead, real or fictional. Name them. Oh, and as a bonus, what’s on the menu? 2) You just won $1,000,000.00, tax free. First off, congrats. Question: what plans do you have for the money? 3) Ever feel you’re in the wrong place at the wrong time? Pick any point in history you feel you’d most likely fit in the best. 4) Do you believe in the paranormal? Care to share any inexplicable stories with the rest of us? 5) Do you believe in fate, love at first sight, or coincidences? If yes, why? If no, why not? 6) Do you believe we’re alone (or not alone) in the universe? 7) If you were offered a seat on one of the first spacecraft excursions they’ve got planned, would you go? Why or why not? 9) What is one thing you regret NOT doing or saying, and to whom? 10) What did you have for breakfast this morning (or the morning you read this question)? Made spiffy progress on my WIPs, as well as some of my workshop assignments. I already anticipate a busier week ahead, so it’s time to get my Time Management on, yo! Ugh. Well, a non-ugh, because I’m ahead of the game with my academic reading. However, leisurely reading ain’t happening, at the moment. I’m not happy about that but I’d like to think my sanity will prevail. This is a positive part of my week. I will attend a group meet n’ greet at school fostering international cultural appreciation. I’m also taking part in a Cultural Connections program that will place me with a new ESL student. Throughout the year, I’ll mentor them and make sure they’re adjusting to academic life, both from a student’s standpoint, as well, as a person in a different country. All of these activities are great foundations for what I hope will be a great career to financially supplement my chosen passion–and fingers & toes crossed potential career–writing. Aside from the obvious since this semester began, I’ve learned how great it is to be social again. Not that I was anti-social, but I often found myself writing in solitude. It’s quite possible I’d begun the process of morphing into a hermit. There’s something to be said about going out there and living life, not just through the written word, but through all the senses. Let this be a lesson to everyone: it’s okay to get out of your head, once in a while. Your brain will thank you and life will return the big fat grin you’re sporting when you go out to greet it. 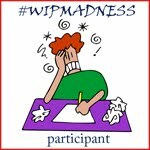 This entry was posted in Round of Words in 80 Days, Writing/Reading Challenges and tagged #ROW80, learning, Liebster Award, networking, reading, writing. Bookmark the permalink. Hobbit was my first choice, as well, but after some debate with the Sisterhood, she convinced me to consider the beauty of long life… and I suppose longer and less hairy legs, too? LOL I’d just like to hang with the less dirtbaggy Elves, if possible. Can you imagine spending millennia with the likes of Thranduil? I can see the reasoning of the sisterhood is very on spot. I wouldn’t mind a millennia with the likes of Legolas, but a millennia is as far as I can handle. I think elves are too grown up for me, I like the idea of a well-spent average-length life better. Hobbits are more…fun, I guess? 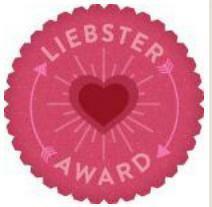 You reminded me that I was nominated for a Leibster a LOOONG time ago. I was traveling out of state at the time, and never got back to accept it. I wonder if there’s a statute of limitations….? Congrats on your double success, and the worldbuilding. I always love it when I have revelations that make my characters even cooler than they already are. I’m doing some massive worldbuilding this week because of a workshop that started today. I’ll keep you apprised of how things fare. Otherwise, I’ll need to draw myself a map to find my way out of that universe. I’m still in awe of Tolkien’s genius.